Is Michael Rapaport Gay ? An American actor and director Michael Rapaport who is broadly noted for his humorist roles in both big and small screen. He has already gained massive popularity from TV sitcoms such as “Friends”, “Prison Break” etc. He is born to mother, June Brody, and father, David Rapaport who is a radio personality. From his small age, he had keen interest in being a basketball player. He made his debut appearing in a movie named "Zebrahead" which was 1993 Sundance Film Festival Award Winning movie. He is a die hard fan of R&B and hip-hop. 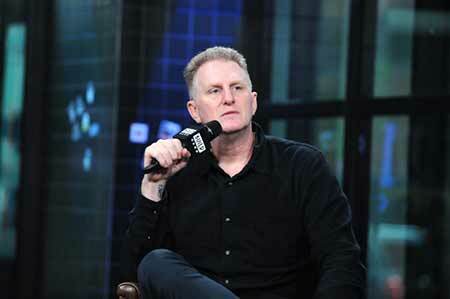 Michael Rapaport was born on March 20, 1970, in New York City, the USA. He is the son of June Brody and David Rapaport. His mother was a New York radio personality and father was a radio executive who was the general manager at WKTU Disco 92. Rapaport was raised on the east side of Manhattan along with his brother, Erik Rapaport. His family moved from Poland and Russia and he is Jewish. Michael was expelled from high school and then he moved to Los Angeles, California at the age of 19 years to become a stand-up comedian. In 1998, he was pleaded guilty to harassing his former girlfriend Lilli Taylor. Rapport was cast in My Name is Earl as Frank where he portrays the recurring role. Later he played one of the main characters in the 4th season of Prison Break. In 2008, it was reported he was directing a documentary about the legendary hip-hop act, A tribute Called Quest. In 2008, it was reported he was directing a documentary about the legendary hip-hop act, A tribute Called Quest. He has worked in numerous movies who received a positive review from critics and audiences such as; Beats, Rhymes & Life: The Travels of a Tribe Called Quest. On February 2010, Rapport won the MVP game in the NBA All-Star Weekend. In 2014, he directed premiered at the Tribeca Film Festival for ESPN 30 for 30 films. He is an occasional guest on the Howard Stern Show especially when he participates in the staff's fantasy football pool. Even he served as the host on the CBS for I Am Rapaport Stereo Podcast. Michael Rapaport during the podcast of the Barstool Sports. On June 19, 2007, through his twitter account he announced he would be joining the Barstool Sports where he will be an apprentice for the podcast Pardon My Take. Currently, he served as a reporter for Fox Sports, Barstool Sports where he will be an apprentice for the podcast Pardon My Take. Currently, he served as a reporter for Fox Sports, Barstool Sports where he will be an apprentice for the podcast Pardon My Take. On August 2017, he falls in controversy after his roasting video on twitter about The Cowboys, Ezekiel Elliott. The 6 ft 4 inches tall comedian has earned an impressive amount of net worth from his career around $12 million and it is assumed to be a rise in 2017. Despite this, he paid handsomely by Fox channel and living a lavishing life in New York with family. Michael was a married man, he exchanged vows with Nichole Beattie on January 15, 2000. But due to some personal issues, the couple divorced in 2007. 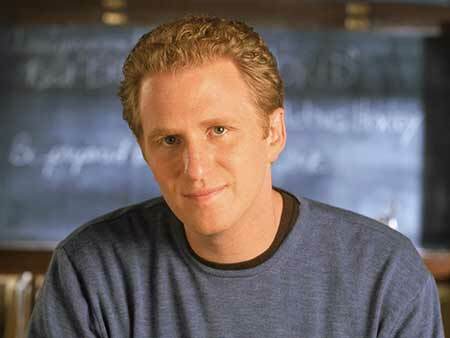 Prior to marrying his now wife, Rapaport was linked up with various ladies. He was once highly criticized when he was pleaded guilty to harassment of Lili Taylor, his ex-girlfriend. He was then, ordered to stay away from her by the court and receive counseling for a year. Talking about his personal life, he once was married to his lover but the relationship didn't go well leading to divorce. He is a father to two children Julian Ali Rapaport (born on 2000) and Maceo Shane Rapaport. and after the divorce, they both shared the custody of their children in Los Angeles. After the divorce, he got married to his first love and longtime girlfriend Kebe Dunn in 2016. Michael Rapaport with his ex-wife Nichole Beattie. The duo is enjoying their blissful marital life and there aren't any kinds of rumors regarding their split or extramarital affairs. Rapaport is pretty active in the social media handles. He has around 344k followers on Twitter and 1.5 million followers on Instagram. On Facebook, he has 444k followers. He stands a tall height of 6'4 feet and follows a healthy lifestyle. The actor has blonde hair and blue eyes. The actor received more hate on Twitter after making sexist comments about Ariana Grande back in 2018. "Ariana Grande is 27 acts 12, you take off those boots she hides her legs in, the cat eye makeup and the genie pony tale and I think there’s hotter women working the counter at Starbucks no disrespect to Starbucks." Meanwhile, even his fans became aggressive on him after bashing Grande's look. They dated only for a year. After he was founded guilty for harassing her she broke up with him. After seven years of marriage, their relationship didn't go well and they got divorced. Together they are parents of two children. He is the eldest child of the family and his Middle name is after Muhammad Ali. He was named after his favorite saxophone player Maceo Parker.